So finally it’s our vacation…first stop is Boston. Rain and 56 outside, but much better than Austin at 85 and 1,000 percent humidity. 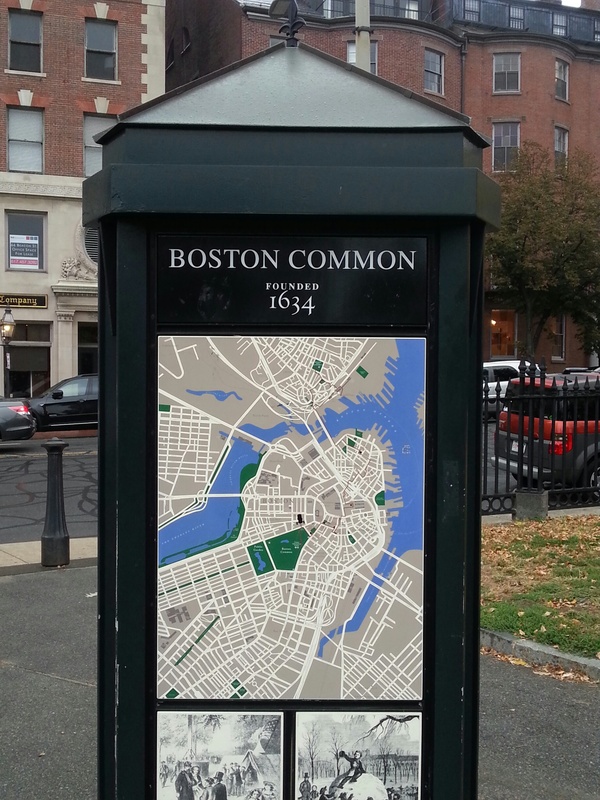 Staying at the Four Seasons, across the street from Boston Common. Got some great photos – hoping I can post them here. Last night we ate at Masa Boston. It was fantastic! I started with the Autumn Chopped Salad and had the short ribs for my entree (if short ribs are on the menu, that’s what I’m having.) Brian started with the brisket empanadas (probably the best thing we had the entire evening) and had the pork loin with chorizo. Wine-wise, we started with a pino gris (so-so…I can’t even remember the name). I had a Bodegas Nieto Senetiner Malbec Reservas 2010 with my entree; a great pairing. All-in-all a fantastic meal. If you’re in Boston, definitely try Masa. 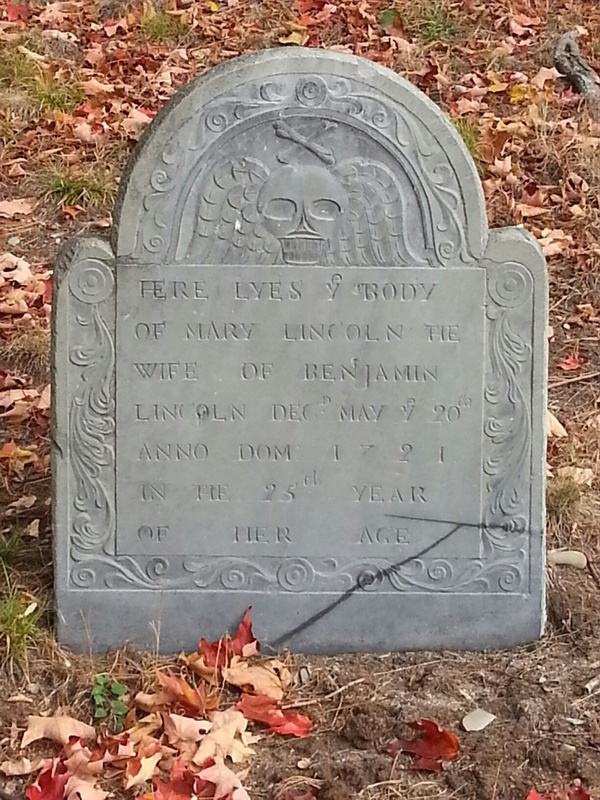 Today was genealogy – cemetery hopping in Hingham, Hull, Roxbury, and Haverhill. That odyssey deserves it’s own posting, but here’s one from Hingham. Tonight is German food at Jacob Wirth (http://www.jacobwirth.com)…really looking forward to that.